“…what is not open to question is the utter depravity of the structural violence inherent to capitalism.” ~Garry Leach, Capitalism: A Structural Genocide. Capital, a human invention of exchange, has been used for terrible destruction. The structural violence inherent in funding the DNR primarily on killing licenses has become too great a burden for wildlife, nature and the citizens who bear witness. In sweeping hegemony, the white male patriarchy has pitted themselves against a disarmed general citizenry by taking everything – lands, parks, wildlife, and all the year, for their murderous past-times. We must step in now. There are over four million citizens in Wisconsin age 18 and over. Each of those citizens can pay $20 annually, tithing back to nature which gives us everything. That would create an $80 million dollar fund for a new democratic paradigm – living in peace with our wildlife. The $40 million paid annually in killing licenses ends. It barely funds the state murder business – stocking of pheasants for killing, wardens to run the show, licensing apparatus and phone lines to deal out death, and registration stations to count the dead bodies. The DNR hires “scientists” carefully selected like oil companies hire climate change deniers. They spin the department agenda – killing. Public lands are now just killing fields. They make it seem so normal. If the depth of suffering were dragged out into the spotlight, the misery of this incredibly vicious war on wildlife can be ended easily by 100% of us paying an annual 5% fee on outdoor wear, bird seed, bird feeders, and outdoor camping gear. There are various creative ways to upend the DNR murder business into the life support system desperately needed in this bottleneck of human aggression. Reform it to democracy. Wisconsin wildlife watchers bring 11 times the revenue of hunters directly to state tax coffers, but if it takes an extra fee to insert democracy into this corrupted system, so be it. We cannot afford further delay. 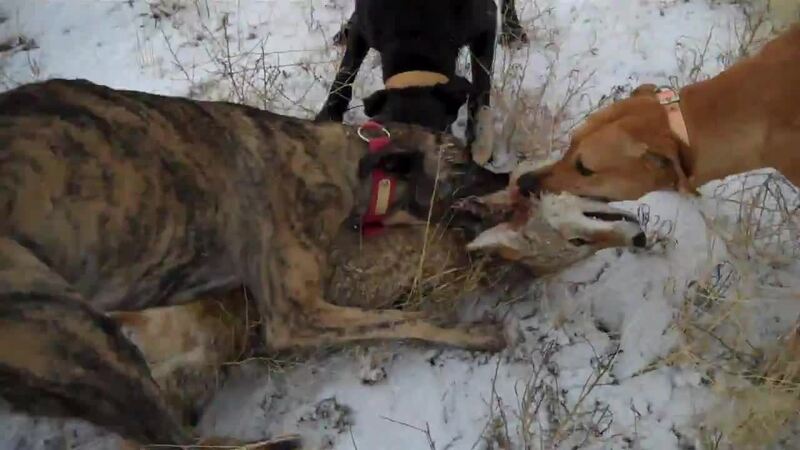 This cancerous irresponsible expansion of dogs, crossbows, trapping, and killing tiny populations of wolves, bobcats, sharp-tailed grouse, quail, partridges, turtles and frogs cannot continue. It is insane to exponentially increase killing in a dying world. Bear hounders, trappers, and bow-hunters design legislation now. Does any citizen think it is a good idea to have people teaching packs of dogs all over the state to be vicious and run freely across our public lands? The DNR has set policy of running multiple packs of dogs on coyotes year-round night and day, statewide. The goal is dogs run on all wildlife, disrupting and displacing and killing any and all wildlife in their path, all the time. This is what the Wisconsin DNR is promoting to children as fun. The “hunters” take their time getting there, while the dogs kill. The cost to all of us is never laid out against the thrill of the kill and those photo-ops. In 2011-2012, 588,098 wild innocent animals were mangled and bludgeoned in traps (http://dnr.wi.gov/topic/wildlifehabitat/documents/reports/furtrapsurv.pdf) and sold to fur buyers, out of our public commons, 50,000 more than the year before because of the $5 fee incentive to new trappers. The DNR was paid $98,000 or a little over 17 cents per animal. Even if you consider wildlife just to be the commodity for killing that this agency promotes, it is not “wise use”. Add in 300,000-400,000 ducks and the total is over 3 million wild animals slaughtered annually. Add unreported collateral damage, easily another million. Genocide is usually a homocentric term, defined as “”the deliberate and systematic destruction, in whole or in part, of an ethnic, racial, caste, religious, or national group. Genocide is characterized by “dehumanization” of target groups and denial by the perpetrators. Animals are by definition “dehumanized”. “Treated like an animal” is rarely a good thing. Second-class, non-killing citizens are not allowed to go into our public lands and cut down trees, or take out plants or living animals to sell for private profit. Trapping is not recreation. It is a private, for profit business. Why should a trapper be able to pay $5 and go into state parks and all public lands and kill as many animals as he or she can in a 6 to 7 month period, right through the birthing season of April, and sell them? Who are we as a people that we allow only killers to set the agenda against our wildlife? In fairness to all of us who care about wildlife, we should have 80 years of only saving licenses to repair the damage, restoring balanced wild-willed ecosystems and respect for wild-willed beings. Lavish them with shelter and safety. Get to know our wildlife. Love them as they deserve. All of their tomorrows depend on you acting today. A great suggestion that’s been bandied around for years. So what is the next step in implementing this 5% “tax” on outdoor non-hunting goods? When and how are we going to implement this? Let’s stop talking and start doing. Yes, definitely would pay a tax to fund life for the wildlife. A 5% annual tax or fee on fx outdoor wear, bird seed, bird feeders and outdoor camping gear etc to fund life for the wildlife? Not a bad idea at all.